Living Springs Child Development Center works in partnership with the Early Childhood Department at Midlands Technical College. One way we collaborate is by bringing in students to observe and/or work with children here at our center. This allows the Midlands Technical College (MTC) students to fulfill class requirements and gain valuable hands on experience in the classroom. MTC students are not alone with children in Living Springs Child Development Center (LSLC CDC) at any time, they are only in our classrooms while teaching staff are present. We make it easy to distinguish MTC students by having them wear a green apron while in our center. If you have any questions please feel free to ask your child’s teacher, or our preschool Director Tammy Mancuso. This is also a great opportunity for LSLC CDC. We have been able to help train new teachers earning their Early Education Associates Degree, and have them come back and work at our Center. Erica Wilson started out as an MTC student in her green apron. She was great working in the infant room. The preschool offered her employment after she had six months experience working in another early care center. She is now the lead teacher in lslcps toddler room. We have a Staff and Teacher Biography Wall, located in the main hallway. Just like a LinkedIn or Facebook Profile, it gives basic information about each person working here. For many of us who do not work in Early Education we may not know the requirements for a licensed and accredited center like LSLC CDC. We work hard to provide the best childcare possible. By doing this LSLC CDC meet all the standards required for quality care and education, and we surpasses a few too. This list explains our standards and requirement for each and every teacher in the preschool. We also have teachers who are receiving scholarships in the T.E.A.C.H program who are currently in school for their associates and/or bachelors degrees. All hiring is done by our Director, Tammy Mancuso. If you have any questions or would like a tour please call and speak to our Office Manager, Cindy Day, or our Preschool Director Tammy Mancuso 803.736.0776. Tammy is always collecting applications and resumes for the best teacher and staff candidates. Please contact the preschool to find out more about any possible positions opened. Applications are available at the preschool office during normal business hours 7:15am-6pm. Thanks again LSLC CDC parents for filling our preschool full of preschoolers! Each staff member or teacher must have 6 Months or more experience in a licensed facility before they can work at LSLC CDC. We opened our doors 12 years ago, and our staff members’ tenure ranges between a few months to as many as 12 years. We encourage education at LSLC CDC. If you look at our Bio Wall you will see many of our staff working on Associates Degrees, Bachelors, and even Masters Degrees. 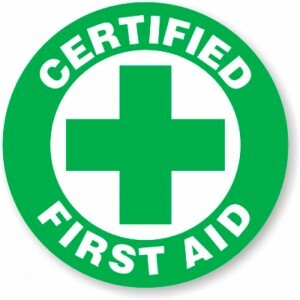 We require every member of our staff to have a high school diploma. South Carolina Law requires 15 hours continuing education for teachers and 20 hours for Administration each year. LSLC CDC requires teachers and administrators each have an additional 5 hours of continuing education (for a total of 20 and 25 hours, respectively). What this means is we require more education in our center then what is required by law. 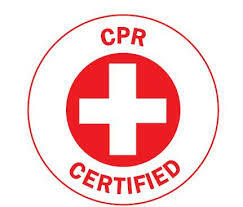 We require each and every teacher and staff member to be CPR and First Aid Certified every year. South Carolina State Law only requires a few staff members to have this training. We believe that the health and well-being of each child comes first, which is reflected in our more stringent requirements. Put simply, we only hire staff and teachers who want to educate children and help encourage positive behavior. Since we also strongly encourage our teachers to pursue their educational dreams, some of our teachers move on to other opportunities in our community. In a few years you may see your child’s LSLC CDC teacher at your child’s grade school as a teaching assistant or counselor. In addition, we also conduct regular background checks on every teacher and staff member. This includes finger prints used to check all federal and state records. For many parents choosing our school, the Spiritual part maybe the most important part, or a small part of your child’s care and education. As a Lutheran school there is a certain element of Spirituality we look for in each and every staff member and teacher. Once a month, the entire staff has a prayer lunch together. The staff say prayers with the children before each meal, every day. Once a week, the staff also attends Chapel with the children. Once a year, we honor and celebrate all our staff with a Sunday Installation Service at Living Springs Lutheran Church. This past year, the preschool children sang during the service and each staff member was presented with a dinner for their families. One of the LSLC CDC goals is to support positive family life and work in partnership with parents to facilitate the growth and development of their children. Parents are valued, respected, and encouraged to participate in all aspect of the program. LSLC CDC has an open door policy and encourages all parents to talk to their teacher or our Director with any questions, concerns or ideas. For any questions about LSLC CDC and our Early Education Center please call us at 803.736.0776. This link is a virtual tour of the preschool. Please contact the preschool on any job openings at the preschool.